If you’re anything like me, you have “oh, that’s cute” moments… and then you have “that. has. to. be. mine.” moments in the shopping world. The “oh, that’s cute” is great and all… until, that is, you find the showstopper. And all of the sudden, you don’t know why you have a closet full of “that’s cute” when all you’ve been needing this whole time is the showstopper. Friends. Meet the showstopper, the “that. has. to. be. 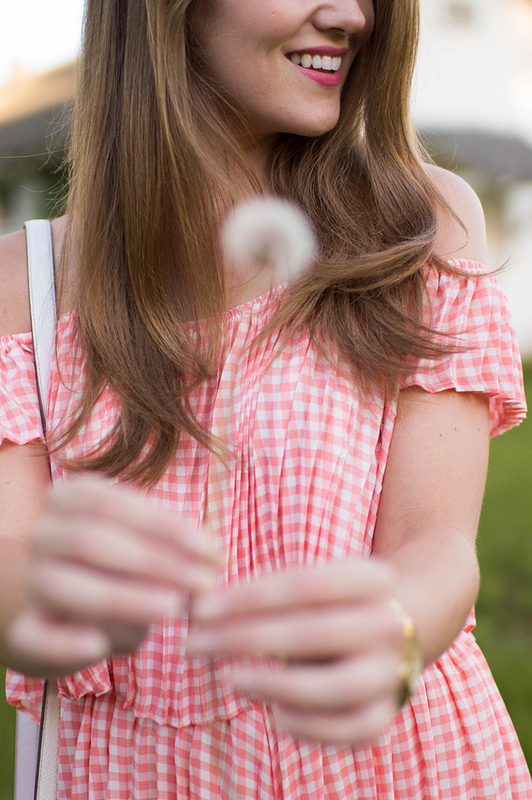 mine.”… this gingham blouse and shorts set. 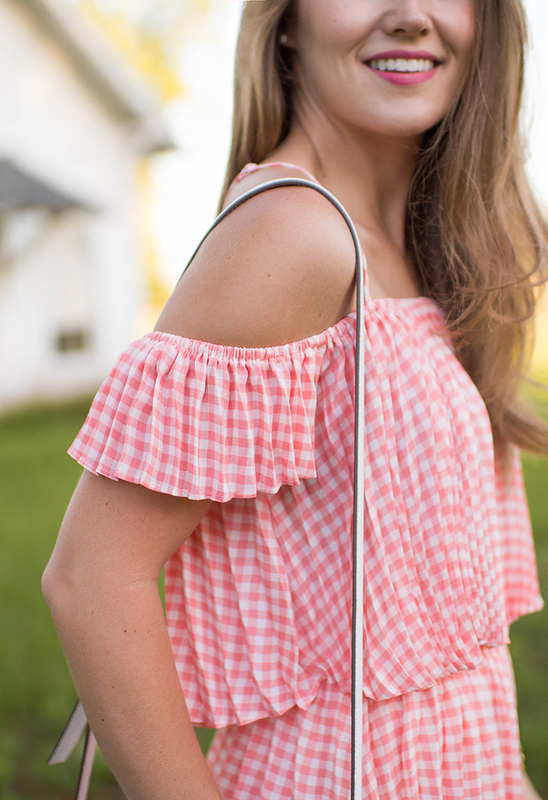 Classically feminine, quintessentially southern, appropriately modern… it’s all of my favorite style attributes wrapped into one big bundle of charm. And I’m just not sure there’s really that much more to say about it. It’s just that good. Fun little heads up… since the blouse and shorts are separate pieces, the number of outfits you can get out of this little set is truly somethin’ else! Throw the blouse on with cutoffs and cowboy boots for a country concert, or white jeans and wedges for a fun dinner with friends. Then you’ve got the shorts, which pair perfectly with a simple white blouse and sandals for vacation or errands around town. So many choices! Love this cute dress. You look amazing Kate. LOVE! Definitely a “that has to be mine” moment! I also love the Ellie Holcomb album, so so good!! This set is so you! And the setting you chose for these photos really showcases the outfit! I am completely in love with this outfit! Oh my!!! 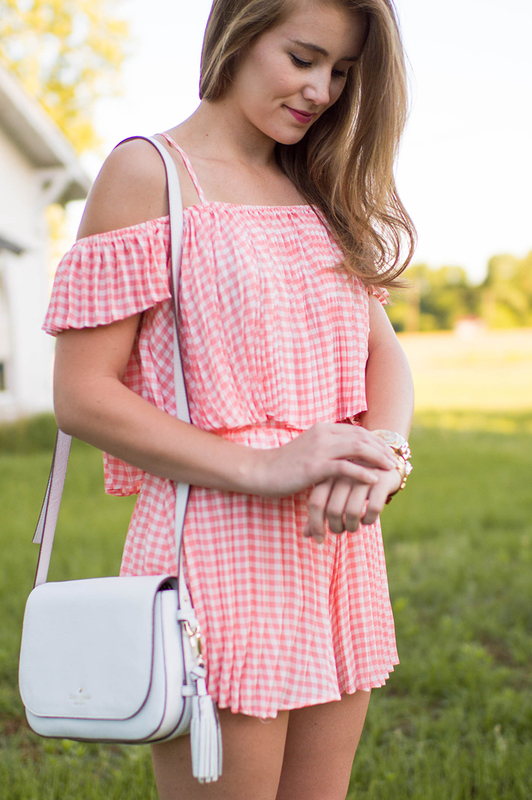 I’m totally in love with this gingham set, it’s perfect!! Oh my goodness, this outfit is so cute! 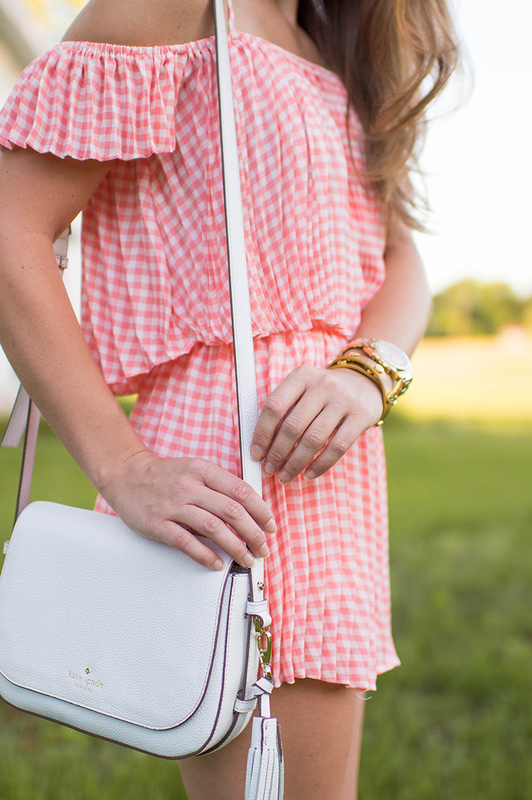 So southern and I always love gingham! Oh my goodness! This is probably my favorite outfit I’ve seen all summer! Love it and need it in my closet too! Oh my gosh!! I can’t get enough of this look. It’s so cute! This is a showstopping outfit!! So cute! !